I used this app to keep track of all of my charitable donations. Spent hours logging in clothing and household item donations when we prepared to move. When I updated the app a couple of months ago, apparently it deleted ALL of my donations for the past 3 years. 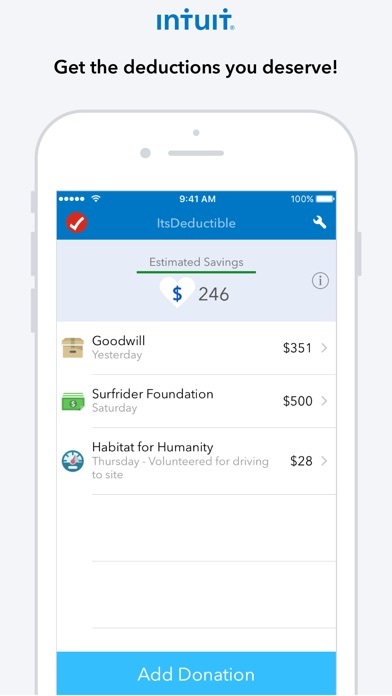 As I was working on my taxes, I got a pop-up from TurboTax that suggested I use this app to list my deductions. So, I thought “Well that’s a great idea let me go do that. I can cover the deductions I need for this year AND get a jump on next year.” So I stopped what I was doing, downloaded the app...but unfortunately I can only record deductions for 2019. That doesn’t help me when filing taxes for 2018. If you’re going to advertise it to use for this year‘s taxes maybe give people the ability to go back to the prior year. The search function does NOT find information for national/international charities, such as the IRC, nor does it allow you to search via EIN—which ideally would provide the information you need for such donations. Not really happy with the app as is stands since I can’t go back to collect 2018’s info, but even going forward, if I’m going to have to manually input what the search can’t provide, I might as well piecemeal it into TurboTax directly. 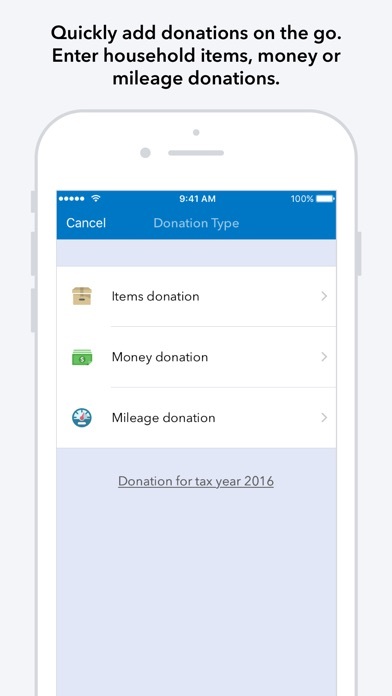 What a great way in advance to capture all of your charitable contributions during the year and automatically import them into your tax return!! Fantastic! This app is easy to navigate. 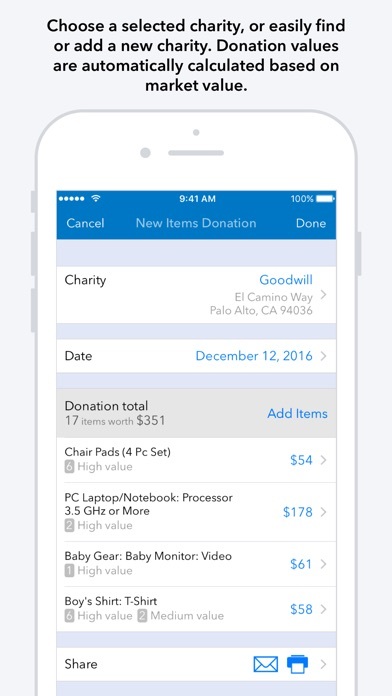 Entering my item donations using this mobile app was easier than entering same donations online. Hi. 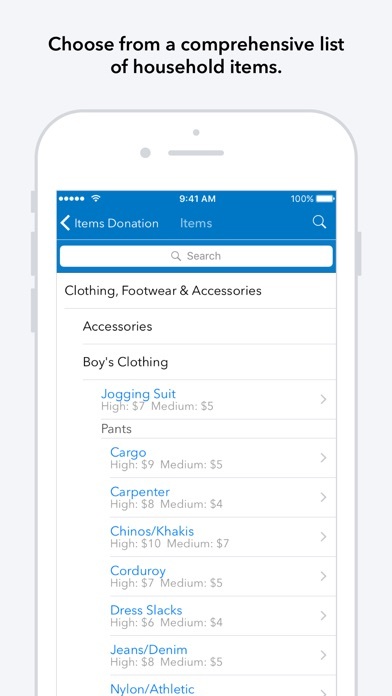 You’ve made our lives so much easier with this donation app! 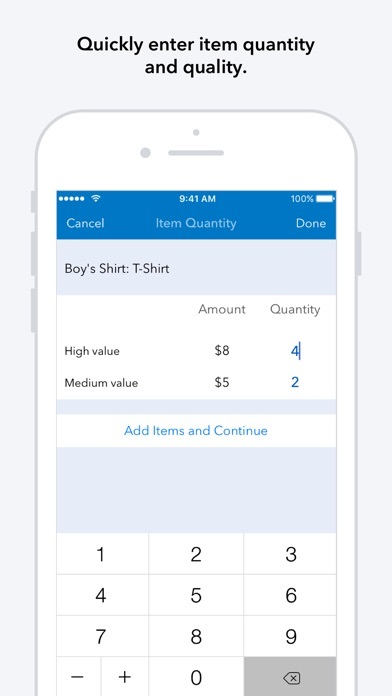 Now we document all of our cash and items donations and easily transfer them to our tax return. The one request I have is to add the ability to include photo attachments with donations so we don’t have to keep a separate file of them. I’ve been using this app for years. Very helpful & takes the guess work out of the value you write off. It’s Deductible helped me do my taxes! This is a useful Adjunct to TurboTax. My one wish is that when the It’s Deductible data is imported into TurboTax for the Mac that it could be sorted by the name of the charity (or the date of the contribution, or the amount contributed.) It makes it much harder to compare It’s Deductible to Quicken when the It’s Deductible info is not in alphabetical order. Easy to use. Would give it 5 stars if there was a way to add a picture to to donation.